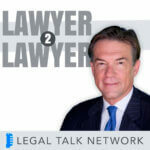 Laurence Colletti serves as the producer at Legal Talk Network where he combines his passion for web-based media with his experience as a lawyer. Previously, he was a solo practitioner, specializing in general business and commercial real estate. Adriana Linares talks about her new position and how she will serve members who want to better understand technology. ABA's new President Bob Carlson joins On The Road to talk about the projects he will be working on during his presidency. Elisa Massimino talks about international human rights and how these rights have fared under the Trump Administration. Hilarie Bass talks about some of the initiatives that defined her presidency. Tina Campbell Hebert, Brian Daly, David Silverman, Hari Osofsky, and Dan Rees talk about climate change and the law. 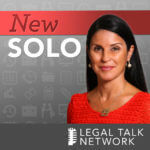 Melanie Bragg talks about the assistance programs and upcoming events in GPSolo and why lawyers should get involved. Elizabeth Slattery, and David Lat join Laurence Colletti as they discuss Justice Kennedy's retirement and Judge Kavanaugh's nomination. Apresente-se and ANIKA, two teams that were apart of the Global Legal Hackathon 2018, talk about their experience creating these new technologies and what makes their particular projects special. Dennis Kennedy and Chuki Obiyo discuss how to use Linkedin to its full potential. Nerino Petro and Bryan Sims discuss how correctly using PDF software can save law firms time, money, and even bring them a little happiness along the way. Co-chairs of ABA TECHSHOW Tom Mighell and Debbie Foster talk about all things TECHSHOW including the move to a new location, the new tracks, and the wellness programs. Excel has proved itself as a valuable tool for lawyers and law firms but there are features and functions that you might not know about that could really change the way you practice. Tune in for Excel tips and tricks that will save you money, time, and energy. ABA President Hilarie Bass announces the ABA's 70th anniversary of the adoption of the Universal Declaration of Human Rights. Stanley Louissaint talks about the best and most efficient ways to prevent and recover from a data disaster. Max Paterson and Zeke Hughes talk about how they won the New York City chapter of the first Global Legal Hackathon with their app called Rights Now. Jeff Kuester talks about functional alcoholism and why it’s important for lawyers to monitor their alcohol consumption. Kyle McEntee, Rachel Van Cleave, and CJ Ryan discuss the rising cost of law school including what’s driving the price to rise and what makes this a complicated issue to change. Fred McClure and Chris Marks talk about the National Trial Academy sponsored by the Tort Trial & Insurance Practice Section of the ABA. Bill Horton and Simeon Carson discuss how the Health Law Section of the ABA serves lawyers involved in healthcare with programs and webinars for its members. Linda Shely talks about the model rules of professional conduct on lawyer advertising. Kevin Napper and Nina Marino speak as lawyers who defend compounding pharmacies accused of prescribing unnecessary medication. Hilarie Bass, President of the ABA, talks about the issues she has focused on during her presidency like women leaving the profession, homeless youth, and attorney wellness. In this On The Road report from ABA Annual Meeting 2017, Steph Cha talks about being both a lawyer and a writer. In this On The Road report from ABA Annual Meeting 2017, new ABA President Hilarie Bass talks about handling criticism and the initiatives she’s taking on. In this On The Road from ABA Annual, Senator Gerald Malloy and William Hubbard talk about what made South Carolina’s criminal justice reform successful. ABA Annual Meeting 2017: So You Have Student Loans and You Want to Buy A Home? In this On The Road report from ABA Annual Meeting 2017, David Axelrod talks about managing student debt, mortgage payments, and other important finances. In this On The Road report from ABA Annual Meeting 2017, Elizabeth Derrico discusses who the NABE is and how they serve and provide support to their members. In this On The Road Report from ABA Annual 2017, Roy Zur talks about cybersecurity and cyber intelligence. This On The Road Report from the 2017 ABA Annual Meeting talks about how AI can help the legal profession as it grows and matures. In this On The Road report from ABA Annual 2017, Justin Miller talks about the taxes that trip up clients during the divorce process. Kevin Petrasic about financial technology, cryptocurrency, and the role of FinTech in a regulatory environment. Linda Klein talks CLE in the City, increasing access to justice for veterans, Public Service Loan Forgiveness, and her time as ABA President. This legal podcast discusses why antitrust laws are important and why young lawyers should be interested in them. On The Road host Laurence Colletti interviews Edward Wilson, David Rose, Mike Suchsland, Lorine Pendleton, and Jeroen Plink at Evolve Law’s Summit in NYC. Evolve Law Summit: What is it? Jules Miller and Mary Juetten, co-founders of Evolve Law, discuss the Summit, which aims to pair legal innovators with strategic partners and investors. Legal bloggers answer three questions in 30 seconds at the ABA TECHSHOW 2017 Beer for Bloggers event. Judy Perry Martinez discusses the American Bar Association Center for Innovation and what qualities the program looks for in a fellow. Stacy Stern, Nicole Bradick, and Dan Lear talk about alternate ways to use your law degree. Heidi Alexander and Vedia Jones-Richardson discuss the importance of focus in the workplace, especially for legal professionals. ABA TECHSHOW 2017: Why Invest in Managed Service Providers (MSP)? Tom Lambotte and Stanley Louissaint about managed service providers (MSP) and the role they play in a successful law firm. ABA TECHSHOW 2017: Secure Your Legal Data! Sherri Davidoff and John Simek talk about cheap (or free) ways to keep your legal data secure. Reid Trautz, a director within the American Association of Immigration Lawyers, discusses the current and potential future Executive orders on immigration. Current and future immigration orders, the legal representation of immigrants, and what actions lawyers can take to help. Greg Brooker and Katherine Mikkelson discuss their touring program that uses role playing in order to make ethics more relatable to lawyers. Cuba’s role in U.S. economy, commercial opportunities there, and the wet foot, dry foot policy. Lawyers in the entertainment industry need to keep up with growing technology, say experts. A discussion on the rules of Senate voting and the decrease in judges qualified to be nominated for the Supreme Court. Road rage, driverless cars, technology and the future, and how lawyers (and drivers) should be prepared for these changes. Kara Jermain, an associate counsel at Gallup, discusses the advantages of in-house lawyers who can multitask communicate effectively. The ABA’s Commission on the American Jury chair discusses why the number of trials in the U.S. seems to have fallen so dramatically. Anna Romanskaya discusses the initiatives the YLD is taking to give young lawyers the business experience they didn’t receive in school. A discussion on the goals to improve cost and efficiency of the civil justice system. This Love Your Lawyer Day we interview its founder Nader Anise from the American Lawyers Public Image Association. Attorneys Oscar Michelen and Scott Limmer talk about their podcast and how creating a podcast can improve your marketing and social media presence. Julie Fershtman talking about the Future Task Force report, the unprecedented changes occurring in the legal industry, and how lawyers can affect this change. A podcast discussing the Michigan Legal Help Program and how they are working to increase access to justice and fill the legal gap. Expert Ken Adams talks about improving the contract drafting process, why boilerplate language persists, and what attorneys can do to fix it. Andrew Legrand discusses Zapier, how it integrates into Clio, and how automation can aid attorneys by eliminating small mundane tasks. Andrea Jarmon shares her story of working hard and the generous people who helped and encouraged her to pursue a law degree. Panelists from the ABA Annual Meeting consider forward-thinking proposals to address the issue of increased police militarization. Laurence Colletti sits down with Andrea Eliscu to talk about the success of her program, Dueling Dragons of Orlando. Laurence Colletti interviews Jay Kim, business litigator and member of The Florida Bar board of governors, about the updates in business law in Florida over the past year. Laurence Colletti sits down with attorney Barbara Leach to discuss her presentation for the Florida Law Update 2016 at the Annual Florida Bar Convention. Executive Producer Laurence Colletti sits down to interview Evolve Law Co-Founder Mary Juetten and the Evolve Law Client Driven Technology Solutions panelists at the Legal Talk Network’s Denver studio. ABA Midyear Meeting 2016: The Future of Latinos in the U.S.
Why Aren’t Women Becoming Head Trial Lawyers? How Do Electronic Communications Affect Employment Law Issues?